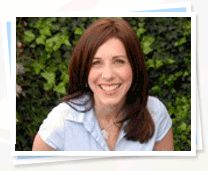 Justine is a dynamic coach and educator who works with individuals and groups. She is passionate about affecting change and helping people step into their true power. Her compassion, integrity and ability to connect with others, are what make Justine particularly effective as a coach and educator. These comprehensive private and semi-private classes are based on The Bradley Method® and other complimentary methods and are tailored to meet the individual needs of couples. A Doula is an experienced childbirth professional who provides one-on-one training and support to prepare an expectant woman or couple for their upcoming birth experience. 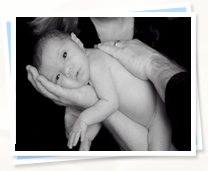 What Is Empowered Birth Method™? 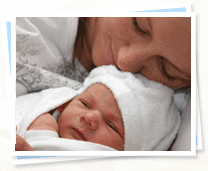 What Are The Benefits Of Empowered Birth Method™? Why Would I Hire a Coach? « Mamasummit 2010 Kicks Off December 1! As 2010 comes to an end, you might be thinking about the year ahead. If you are like me you are constantly looking to the future without slowing down long enough to reflect on accomplishments and lessons from the past. We are either living in the past, present or future. Where do you spend most of your time? How has it been working for you? I have been participating in a mastermind group for the last 6 months which has been very powerful in terms of my personal growth and spiritual evolution. In our final session we shared our leaps, learning, and letting go for the past 6 months. It was very powerful to recollect all that has happened in 6 months. I was able to see how far I had come and what I had let go of. Some of my biggest breakthroughs were letting go of the need to be perfect or get it exactly right which enabled me to finally launch my Birth Empowerment Coaching Program after holding onto the idea for more than 2 years. Also, letting go of self-judgment and criticism and releasing the questioning of the value of my work has allowed me to move forward in big ways that are allowing me to live my life purpose more fully and show up more completely and authentically. By reflecting on my wins, challenges, and lessons of the past year, I have opened up myself to soar in 2011. Will you join me on this journey and step into your greatness and higher expression of your life and self? That is my wish for you because each of us has great potential that we are not currently owning. Imagine if each of us were to own our personal power and really make a difference in the world in a way that only each of us can because of our personal life experiences, knowledge, uniqueness and interests. I envision major world shifts occurring as a result of you and I and each of us stepping into and claiming our power. Please take some time to reflect on your past year. If you keep a journal now would be a good time to refer to it. Perhaps you have a planner or another way to jog your memory about the year. It’s so easy to forget, especially when we don’t make a conscious effort to reflect. Maybe breaking it down by months would help. But before you begin, make sure you take some uninterrupted time to get quiet and write down your answers to the following questions. 1) What leaps, wins and accomplishments have taken place this year? 2) What did you learn over the past year that will help you going forward? 3) What did you let go of this past year that didn’t serve you? What would you still like to release? Please journal about your responses and if you feel like it, shoot me an email with what came up for you or even better leave a comment on my blog. I love to hear about other people’s experiences on a similar journey, and by sharing it deepens the experience and connection. Stretch yourself and allow yourself to be supported by sharing with me and a like-minded community here on a path to personal growth. I always take the time to read and respond. Once you have done this exercise of reflection, you will be positioned to powerfully set your intentions and goals for the coming year. If you would like to get on track with your vision and goals and would like some support, please go to my website http://www.themamacoach.com and sign-up to receive my Special Report on Visioning and Goal Setting. If you are already subscribed to my newsletter Metamorphose then send me an email and I will happily send you my Special Report. Here’s to a powerful New Year for each of us! 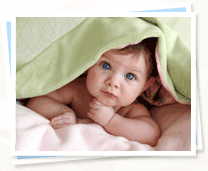 This entry was posted on Thursday, December 30th, 2010 at 6:55 pm	and is filed under Blog. You can follow any responses to this entry through the RSS 2.0 feed. Responses are currently closed, but you can trackback from your own site. Copyright © 2019 Justine Arian. All Rights Reserved.